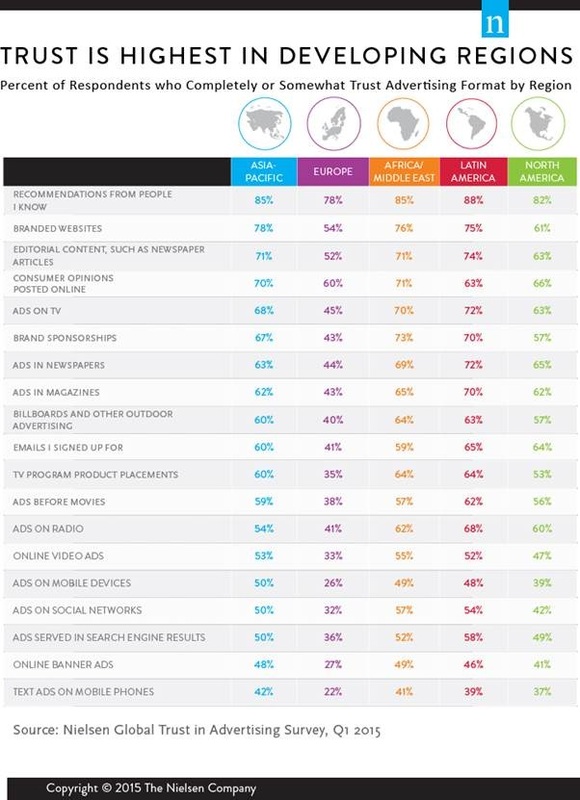 The global study, from Nielsen, indicates among global respondents, self-reported action levels as a result of advertising actually exceeded trust levels for 14 of 19 advertising formats reviewed, suggesting that trust is not always a prerequisite to purchase. Millennials (age 21-34), who came of age with the Internet, have the highest levels of trust in online and mobile formats, followed closely by Generation X (age 35-49). While that may not come as a surprise, it’s not just online and mobile advertising formats where Millennials exceed the average. 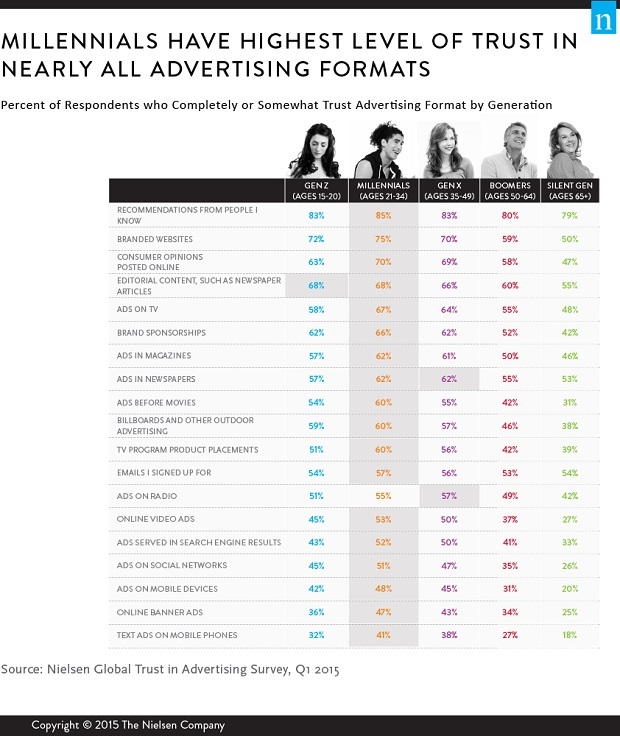 They also show the highest levels of trust in 18 of 19 advertising formats/channels, including TV, newspapers and magazines, and they’re also the most willing to take action on 16 of 19 formats.